A new study shows that humans may have geomagnetic sense just as migratory birds and animals have. This helps in perception of altitude, direction and location. This was understood by studying the Electro Encephalogram (EEG) of participants who sat with their eyes closed in a radiofrequency shielded test chamber. The direction of the magnetic field was altered at regular intervals and the EEG was monitored. 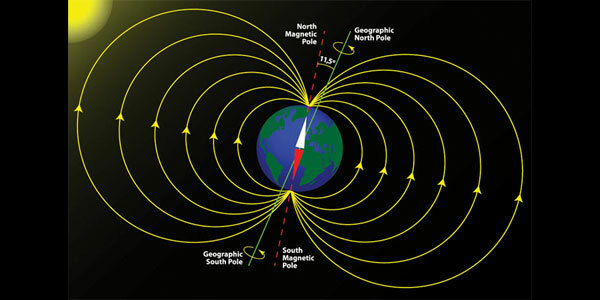 It was found that our brain can identify Earth-strength magnetic fields. It showed that we have a sensory system capable of processing the geomagnetic field surrounding us, according to Dr Joseph Kirschvink, geoscientist at Caltech and Tokyo Institute of Technology, Dr Shin Shimojo, Caltech neuroscientist and their colleagues. The study shows that we may have several innate senses that have been lost as technology has advanced but can be brought to use when we have to navigate and survive in an unknown environment.